What Chris Davidson did was NOT ground breaking but a joke. 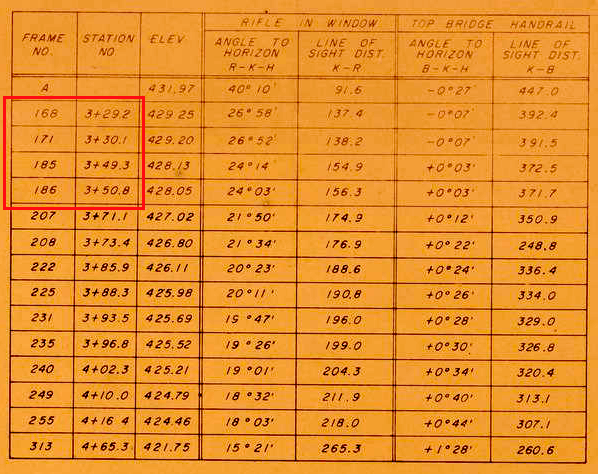 The Shaneyfelt recreation - the diorama that was created - was a simple mistake of measurements and nothing more. Yet, Davidson has gone on and on ad nauseum with ridiculous math formulas to try to prove that the Z film was altered in some way. It wasn't. His silly theory is so silly that on another site, they made an hilarious parody of it. Look it up. Not everything about this case is a big, grand conspiracy. Davidson's "67% of the frames removed" theory is right up there with the stolen and altered body, the double Oswald with double Moms, and all of the other goofy theories. Everytime MW posts this sync video, I respond with my own version and ask the question " How is it possible that (Jackie with her elbow planted on the trunk deck and her rear end up in the air) she can sit down into the limo backseat in 1/3 of a second. Please show us a recreation of Jackie's extraordinary feat. This also happens to be at a point where the Nix film is cut. Coincidence!!! I think not. Thanks for replying Chris. 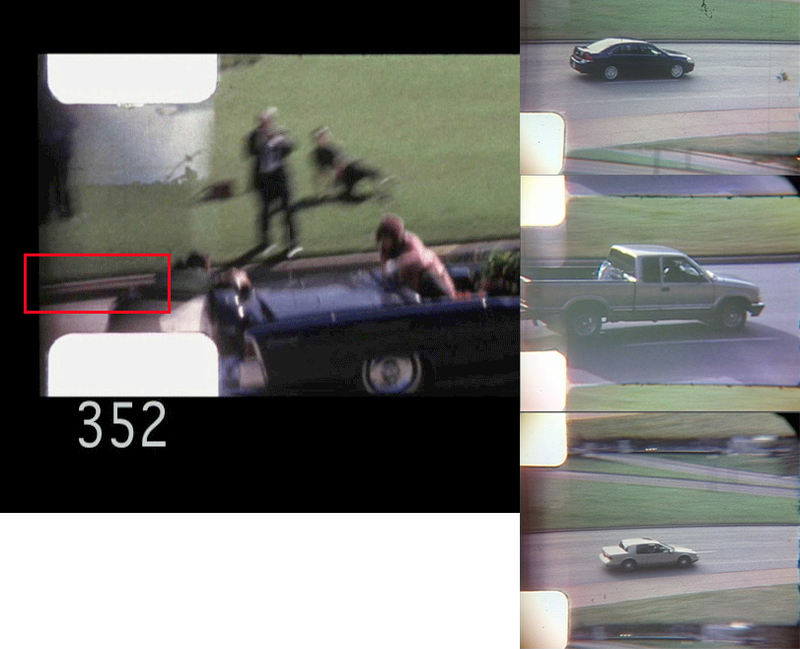 Chris do you know if Zapruder used only full zoom from the get go? I seem to remember someone once mentioned he toggled the setting? maybe I imagined it. Above is the diorama that the FBI made. The car is further down than we know where it was. But according to Davidson, the FBI was sinister with this model. Because they had the car further down, they then had to remove frames from the Z film in order to make everything sync up. Now, let's say that the shots really happened further down like Davidson believes. How can a completely different film of the same event, and from the opposite angle, show that old man standing on the steps looking *upward* toward Elm reacting to the head shot that supposedly took place further down the street? If Davidson is right, you'd think the old man was looking to the left or downward toward the car when the head shot hits. But he's not - he's looking up toward Elm when the shot hits. You simply cannot seriously think that this type of physical action can be faked in a home movie like this. Now Davidson is also saying, "Well, the frames were removed and the proof of that is Jackie's movements are weird." They look normal to me, Chris. You're simply seeing (imagining) things. 24 remaining Muchmore frames after the Z313 headshot equates to approx Z337. Interesting that Muchmore stops filming after a total of approx 3.6 seconds. Mr. ALTGENS - Because I didn't see who fired it. After the Presidential car moved a little past me, I took another picture--now, just let me back up here--I was prepared to make a picture at the very instant the President was shot. I had refocused to 15 feet because I wanted a good closeup of the President and Mrs. Kennedy, and that's why I know that it would be right at 15 feet, because I had prefocused in that area, and I had my camera almost to my eye when it happened and that's as far as I got with my camera. Whether on wide angle, normal or telephoto, good luck reproducing this anomaly. 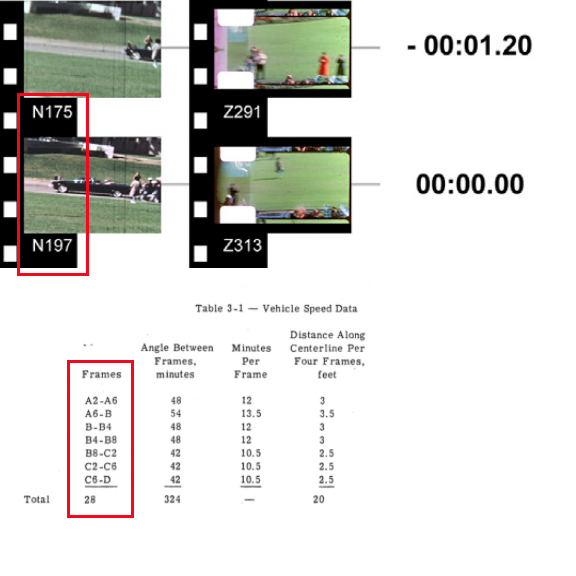 Using Math, can you figure out the problem between Myers multi film sync and Itek's input on the Nix film? Do you think there was another camera man involved? Wonder what would happen if I compared similar LOS's with the extant Zfilm Stemmons sign splice?